SEARCH CONTINUES IN BUTLER COUNTY FOR MISSING WOMANThe search for a missing Arkansas woman will continue this morning in Butler County. According to Butler County Sheriff Mark Dobbs, 44 year old Ginger Myers has been missing since Tuesday night. Myers had called 911 and said that water was coming into her vehicle. Myers said that she thought she was on 53 Highway, but the call suddenly ended. Boat crews were in flooded areas of Butler County Thursday searching for the woman. The search is set to resume this morning. TWO ARRESTED ON FELONY DRUG CHARGE IN WAYNE COUNTY Two people were taken into custody Thursday night on a felony drug charge. According to the Missouri State Highway Patrol, both 28 year old Cody Harris, of Neelyville, and 25 year old Alexandra Snyder, of Williamsville, were arrested at around 6:50 pm in Wayne County. Both are facing a felony charge of possession of a controlled substance with intent to distribute for marijuana. The Highway Patrol did not release if the two arrests were connected to each other. FORMER SCOTT COUNTY ASSISTANT PROSECUTOR NAMED AS CARTER COUNTY PROSECUTING ATTORNEY A former assistant prosecutor has been named as the new Carter County Prosecuting Attorney. Governor Jay Nixon has announced that Amanda Oesch will fill the position that was left vacant following the resignation of former Carter County Prosecutor Ernie Richardson. Oesch previously served as an assistant prosecutor in Scott County from 2007 until 2012, before going into private practice in 2013. A few communities in Southeast Missouri are still dealing with flooded roads following this week’s storms. 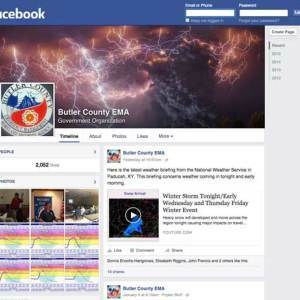 According to the Missouri Department of Transportation, portions of Routes 158, 142, and N in Butler County have been closed due to the heavy rainfall. Roads closed in Ripley County include Routes AA, H, W, and 142. In Wayne County, crews have closed Route FF at Big Lake Creek. Motorists are being reminded to not attempt to drive through flooded roads. On Thursday, three people were rescued by the Butler County Fire Department after their vehicle got stuck on County Road 260 near Neelyville. The Highway Patrol and Butler County Sheriff’s Department assisted in the rescue. 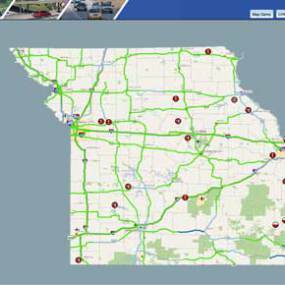 Motorists can check the Missouri Department of Transportation’s Traveler Information Map to find out if there are any road closures in their area. The map is available at modot.org. A man has been taken into custody in Northeast Arkansas after he allegedly distributed crystal methamphetamine near a day care. Greene County Sheriff David Carter tells us that Eric Swink was arrested for three counts of delivery of crystal methamphetamine. Carter says Swink is also facing a charge of distribution near a certain facility because all three transactions were within 1000 feet of a church building and a day care. POPLAR BLUFF YOUTH FOOTBALL TO BEGIN SEPTEMBER 10TH The date has been set for the beginning of youth football in Poplar Bluff. Officials say that the season will begin on September 10th. Anyone who would like to sign their children up for football or cheerleading can visit the youth football table during tonight’s Poplar Bluff High School football game. The table will be located next to the Mules Booster Club. DATE SET FOR NEXT COFFEE WITH A COP EVENT IN POPLAR BLUFF The Poplar Bluff Police Department will be holding their next coffee with a cop event in September. The event will be held from 8 to 10 am on Saturday, September 17th at McDonald’s on Highway 53. You will be able to have a cup of coffee and chat with your local police officers during the event.